STANDISH—The Scots saddled up the visiting Mustangs in the early going on Saturday morning, May 5, then rode them to exhaustion. Bonny Eaglers Will White, Arlo Pike, Christian Napolitano and Bobby Faucher all scored in the bottom of the first to kick off a big offensive outing, a comfortable, 9-2 rout. Whyte, Bonny Eagle’s No. 2 hitter, singled off Mustangs starting pitcher Alex Schepis in the Scots’ opening ups. Whyte stole 90 feet during Pike’s at-bat and rounded to home when Pike launched a long triple – a near-homerun – into centerfield. Pike scored on a wild Schepis pitch to Napolitano, who soon walked onto base. Napolitano scooted to second when Faucher singled down the leftfield line and reached home again when Greg Emerson singled in exactly the opposite direction. That hit also shuffled Faucher ahead; Faucher then found his way across the plate on a Khyler Hart drive double into left. Thoroughly in control now, Bonny Eagle never relented. The Scots notched two more in the second – Whyte and Connor Sirois did the honors, this time around, wringing the runs from Schepis’s replacement on the mound, Cam Dyer. Dyer actually held the Scots silent through the third, but Whyte tallied again in the fourth, reaching on a single into left, then stealing during Pike’s at-bat, zipping to third on a passed ball with Napolitano in the box and racing home when Napolitano flied out to left. Faucher and Emerson also tallied in the fourth, both crossing the plate on a Tyler Fitz drive single into center. Those runs capped the Scots’ output on the afternoon. 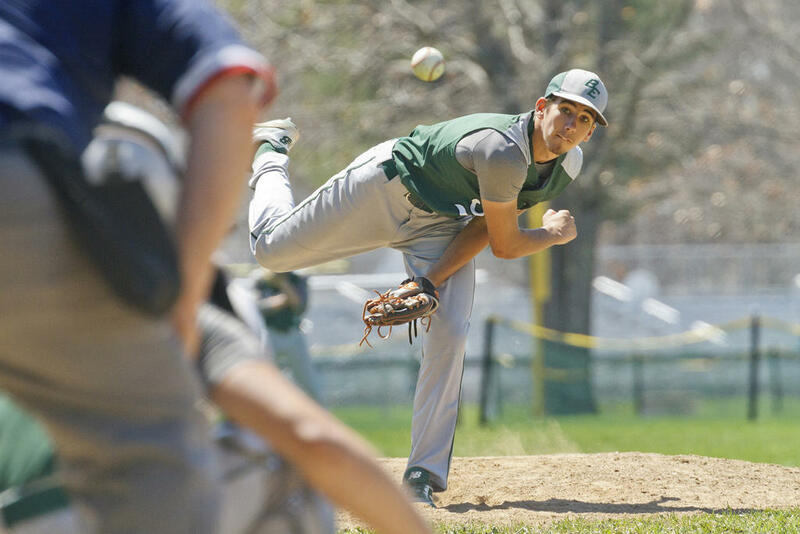 For their part, Massabesic hashed two in the fifth: Tyler Lambert and Jacob Gregoire snatched back-to-back singles off Sirois, the Bonny Eagle starter, and eventually found their way home once more. 9-2 the final. Sirois picks up the win, striking out eight while relinquishing just four hits in his five innings; Fitz relieved him, and closed out the contest with ease. White went 3-3 with a trio of singles, Pike 2-3 with that huge triple as well as a single, Faucher 1-4, Emerson 3-3 with three singles, Hart 1-4 on his early double and Fitz 1-3 on his two-RBI single. The win bumped Bonny Eagle to 4-2 on the spring. The Scots currently rank sixth in A South, a slot back from Biddeford and a slot ahead of Scarborough. (Portland sits in first, at 4-1). Bonny Eagle traveled to Noble on Tuesday the 8th; they welcome Cheverus on Thursday the 10th and Windham on Saturday the 12th. 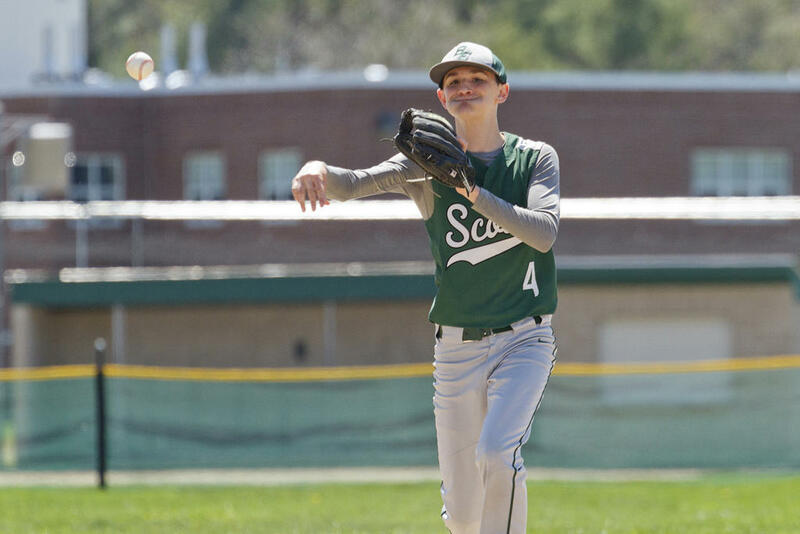 Massabesic slipped to 0-7 on the loss, though it’s not entirely for a lack of offensive output: The Mustangs have logged 23 runs in seven games. Unfortunately, they’ve given up 57. They’ve lost three games by just one run, though, so perhaps their time is coming. Scots second baseman Logan Fogg fires off a ball toward first. Tyler Fitz whirls, reaching for a tag on a Massabesic runner caught in a pickle. Logan Fogg holds off swinging at an incoming pitch. Connor Sirois breaks for home. Scots first baseman Arlo Pike reels in a throw, tagging a Massabesic runner out. Connor Sirois started on the mound for Bonny Eagle. Bonny Eagler Bobby Faucher arrives home. Will Whyte races home for the Scots. Tyler Fitz closed out the game for Bonny Eagle.